Ask fellow campers about "Southern Comfort Campground " and nearby attractions. Run down, poorly maintained. Grass was not mowed, fire ants everywhere, broken fences and just appeared unappealing. Cats and dogs running loose. We had our 2 dogs with us, kept on leash. More trailer park than campground. Paid for 3 nights only stayed 2 because we had seen enough. Other than 1 late arriving camper passing through the first night, we were the only campers. Every other site in use were permanent residents. OUR FIRST AND LAST TIME. NO cable TV as advertised. Pool, bathrooms and showers not clean. No amenities. Limited number of sites with 50 amp electric. 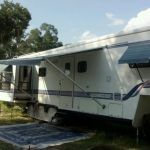 We camped at Southern Comfort Campground in a Fifth Wheel. Long term park for 80% Probably a $20 stay at most. Many famalies living full time it appeared. 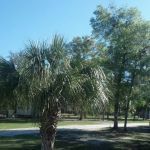 We camped at Southern Comfort Campground in a Motorhome. Ok for a stop over in deliverance country. Generally unattractive place. Not well kept up. We had registered for two nights, but because of the run-down state, loud highway noise, and generally unattractive atmosphere, we gave notice and left after one night. The owners refused to refund what we had paid for the second night which we didn't use. Our least pleasant RV camp experience to date. 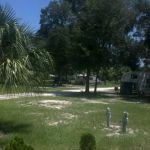 We camped at Southern Comfort Campground in a Motorhome. Stores and shops are two to five miles away. One convenience store just off the camping grounds. 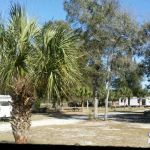 Are you affiliated with Southern Comfort Campground ?